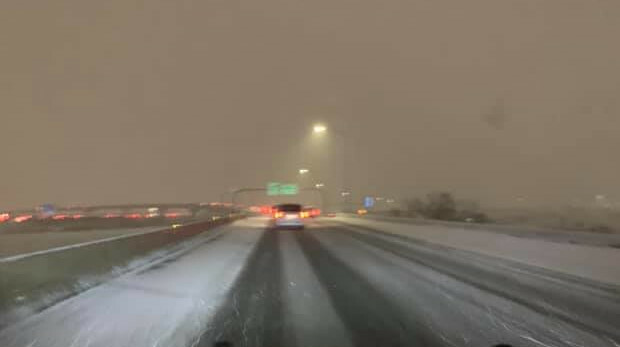 ST. GEORGE — Officials are urging Southern Utah drivers to stay off the road if at all possible Sunday night due to whiteout conditions resulting from a winter storm. An electronic message sign at milepost 14 on Interstate 15 in Washington County warns of winter driving conditions on the freeway. The storm is part of a cold front that is sweeping through Utah Sunday. According to the National Weather Service, hazardous conditions will continue overnight into Monday morning. According to the Utah Department of Transportation, road closures are also in place in parts of Iron County, including state Route 143 in both directions between milepost 18, South of Brian Head, and milepost 28 near Mammoth Springs.